Enjoy the ultimate casino experience! Experience the biggest wins in your life on DoubleU Casino! Ellen Degeneres has just arrived at DoubleU Casino! Spin your way through The Ellen Show in our newest feature, Ellen's Road to Riches Goals! Challenge yourself and achieve the exciting goals in each act and complete your collection for a huge reward! Have fun spinning on Ellen's spectacular slot games featuring the scenes, games, celebrities, and props actually seen on the Ellen Show! If you love the Ellen Show you are sure to love Ellen’s Road to Riches Goals, go for a Grand Ellen Win now! ● 9 goals/rewards in each act ● Multiple stages and frequent new slot releases ● Collectible pieces for your own collections ● Progressive achievements and constant rewards DoubleU Casino is a creative online casino, and we provide a number of engaging slots and video poker games. A variety of high-quality slot games from classic to state of the art releases, no one has a better selection than DoubleU! 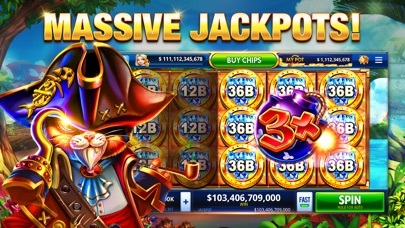 Every one of DoubleU's slot machines has its own jackpot, just like the slot machines in land-based Las Vegas Casinos! Experience engaging social interactions supported by DoubleU mobile service and accompanied by a number of bonuses and benefits! Special Features at DoubleU: 1. 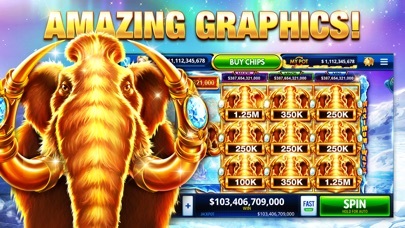 More than 100 slots and 3 video poker games, each with unique features. 2. No level-based restriction in slot and video poker play. 3. Every slot machine has its own jackpot. 4. A variety of bonus features: Jackpot Tourneys, Live Slotourneys, Winner Club and more. 5. Generous free chip giveaway policy. 6. User-oriented development and updates. 7. Prompt and interactive customer support. *Recommended: iPhone 5, iPad 4, and later devices with an iOS version of 9.0 or later *DoubleU Casino does not offer real money gambling or an opportunity to win real money or prizes. *Practice or success at social casino gaming does not imply future success at "real money gambling. Been playing my favorite game, Piggys! They are a great layout a so adorable when they are in extra spins and respins. They turn their head towards you and give a toothy grin. Can't help but smile too. Lots of variation & cascading games. Love it all. 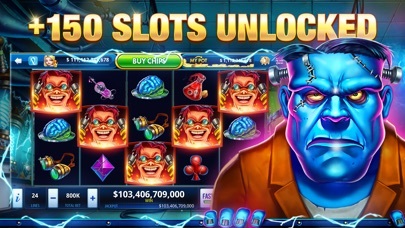 A lot of Fun Slots to play and hitting a lot of bonuses. Thank you for reminding me why I should never gamble with real money! The old adage “ the house always wins” still rings true. You have created a great game. Thank you. 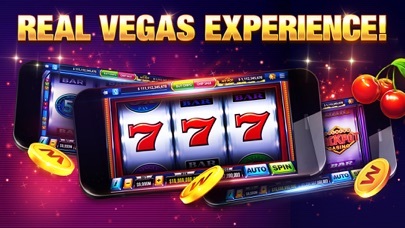 Great app with good slot games! More by DoubleUGames Co., Ltd.